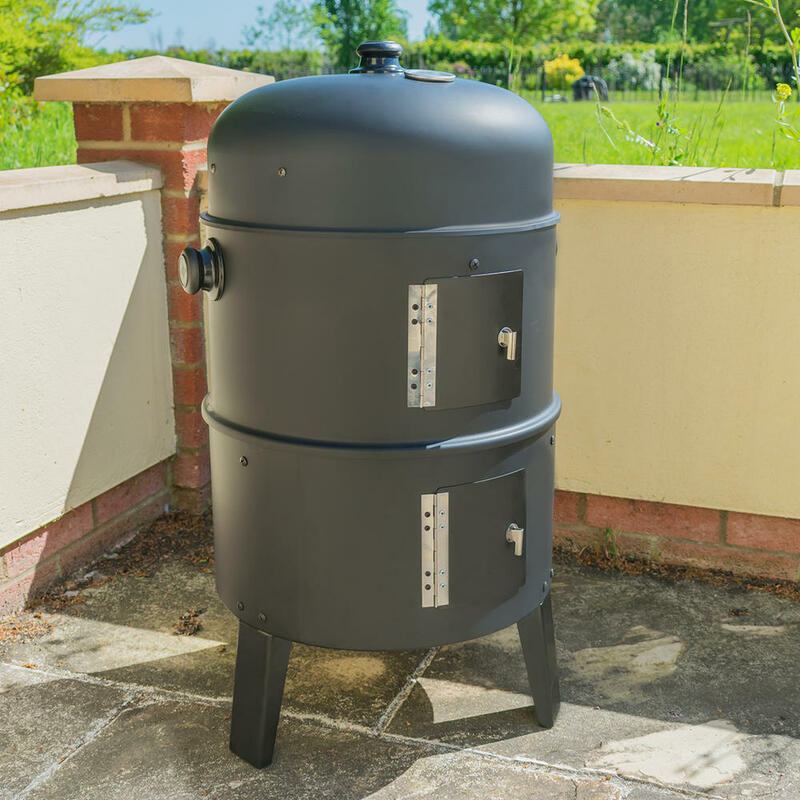 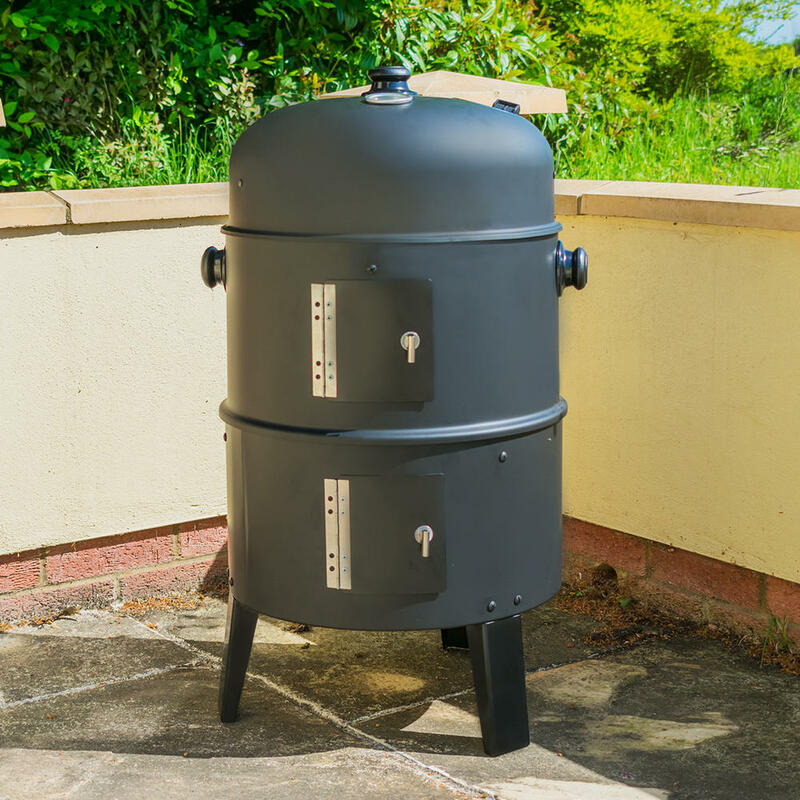 The Upright BBQ Smoker is a great addition to any home and garden, perfect for the summer months and those BBQ parties. 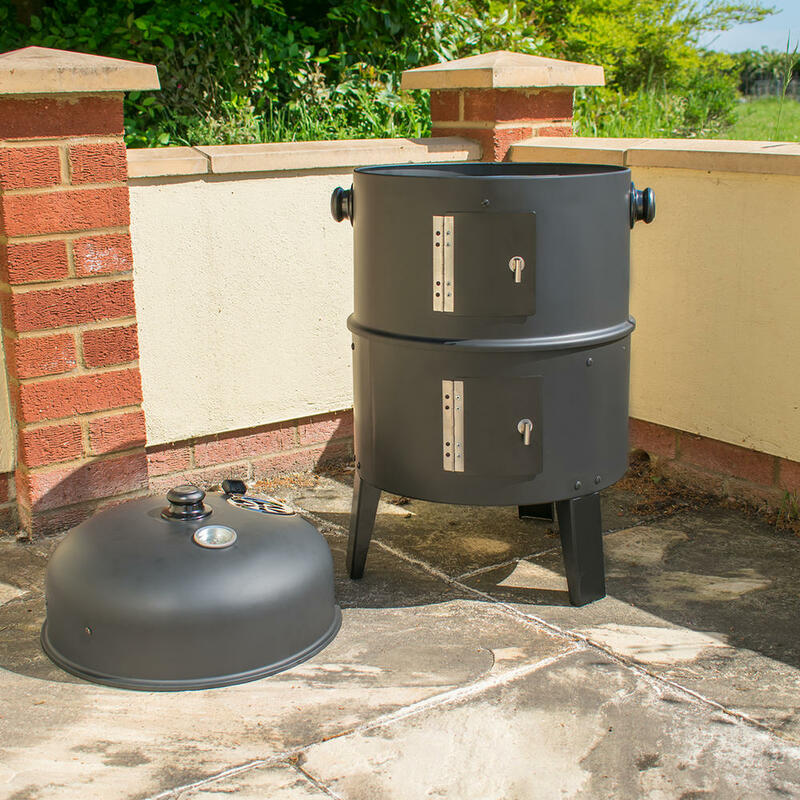 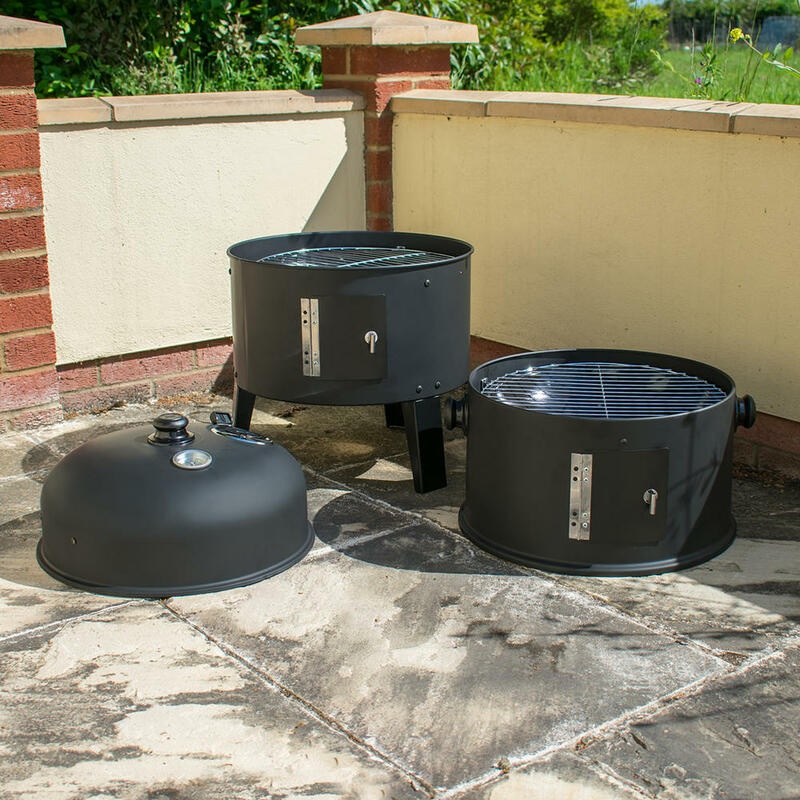 The Upright BBQ Smoker is effectively a 3 in 1 outdoor cooker. 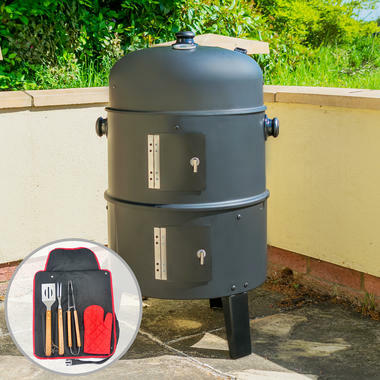 Within its steel drum construction is 2 internal cooking layers and a lid located hanging area, fuelled by conveniently placed charcoal pan at the base of the unit. 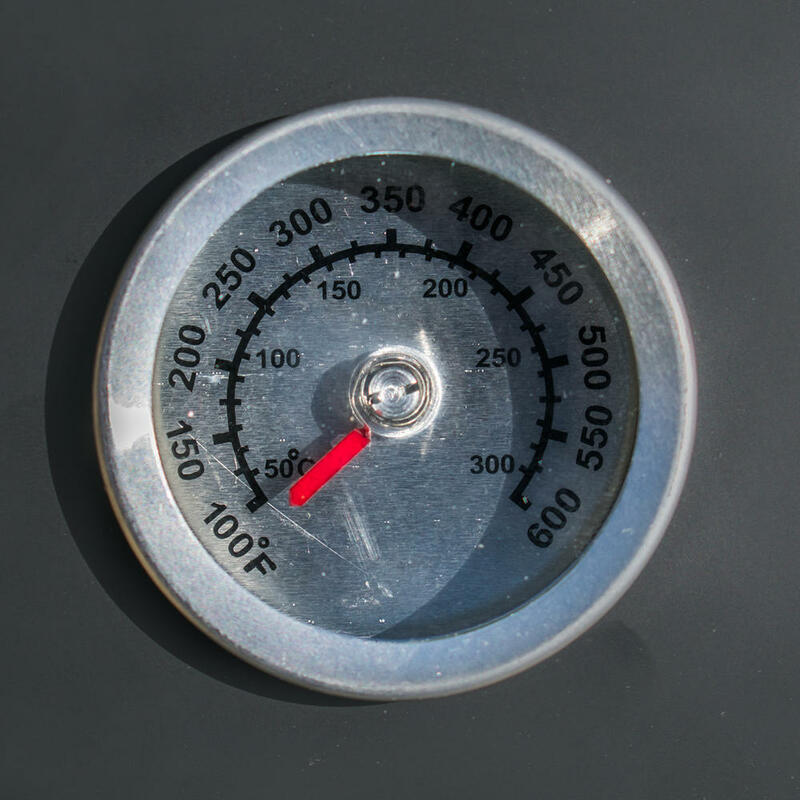 As the heat rises it hits the first grilling layer and its underlying water pan. 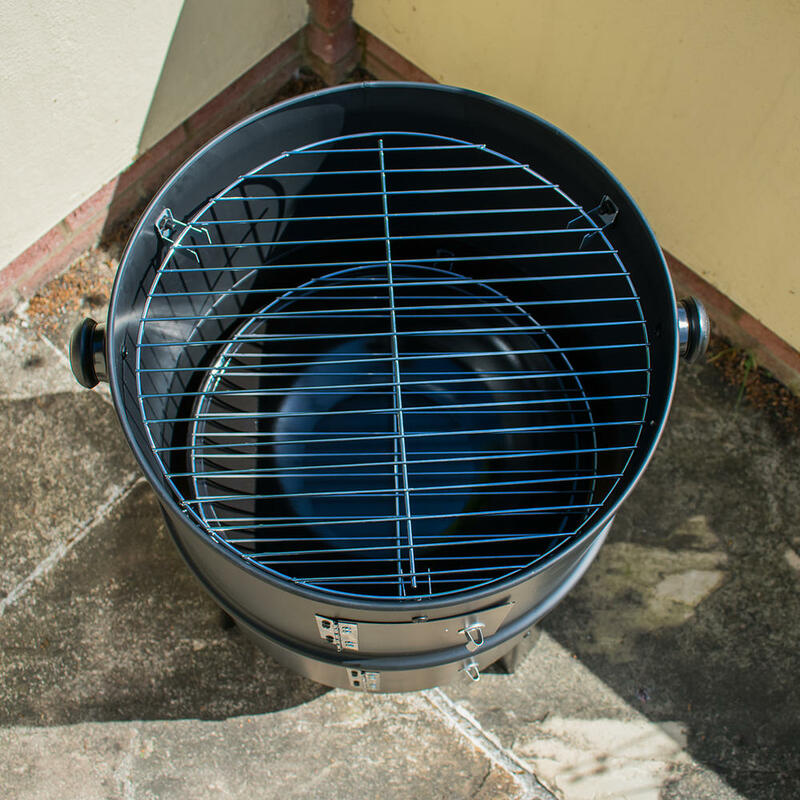 A 2nd grill area is situated further up, at the top of the Smoker section. 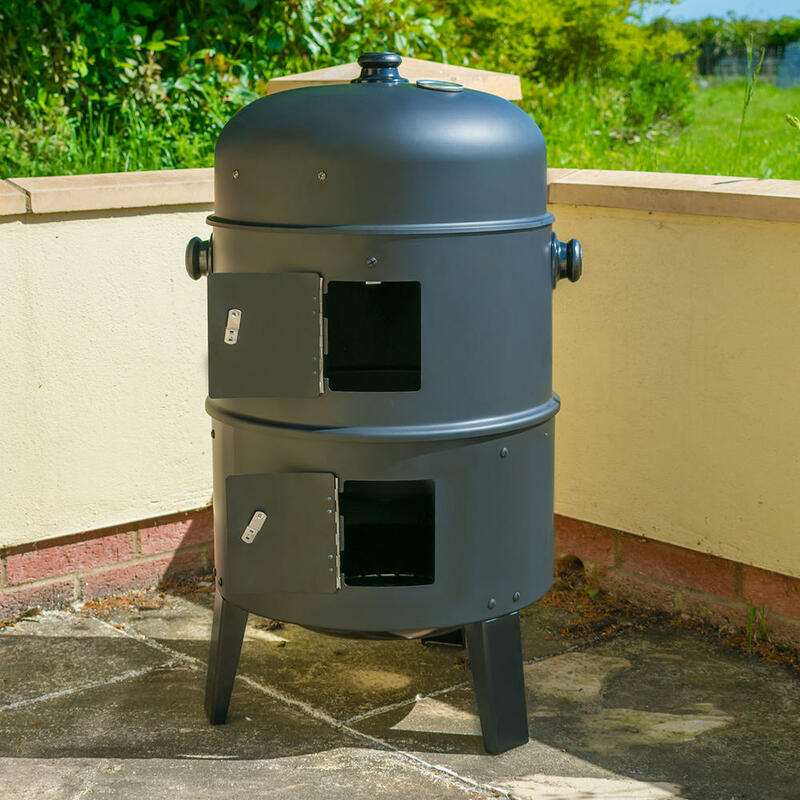 The cooking areas are finished off with a hook section in the lid for smoking fish or bacon. 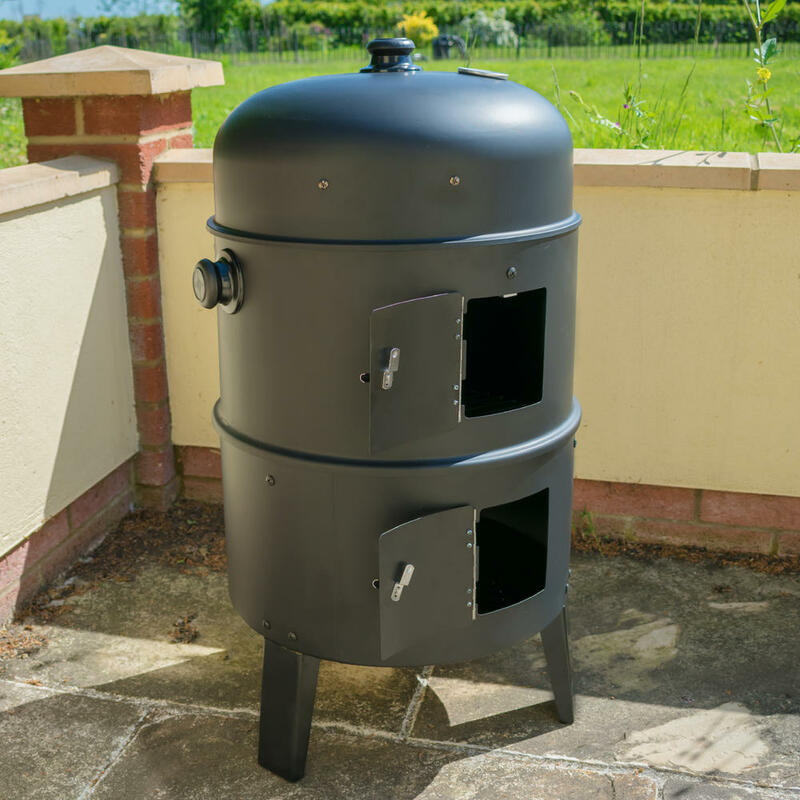 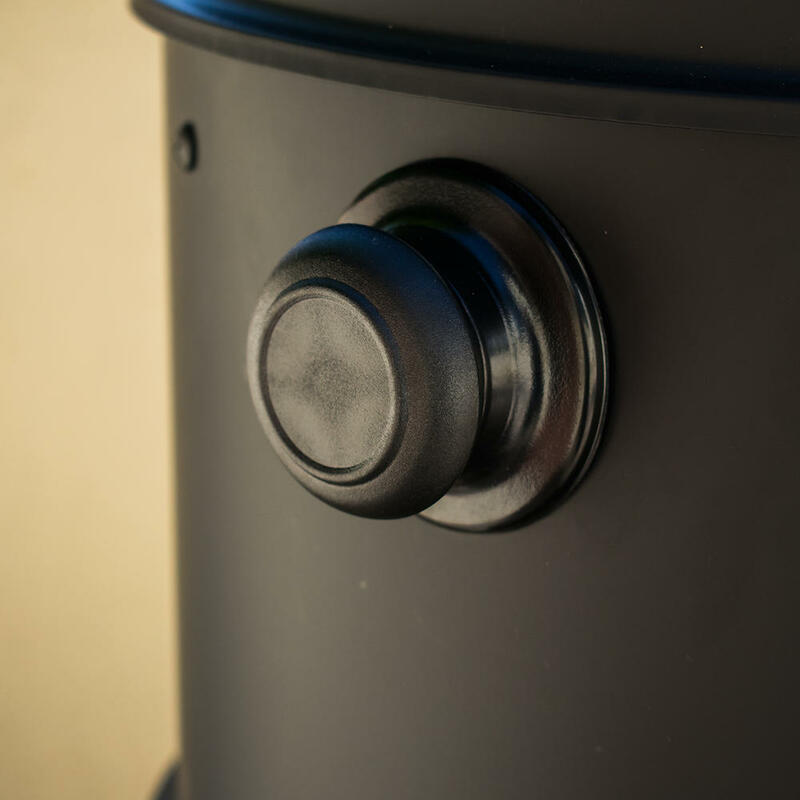 The temperature of the smoker is controlled easily by the Air dumper flap at the top of the lid and by 2 front located doors that not only allow easy access to the cooking food, but control the air circulation and ventilation in the smoker for a more controlled cooking temperature. 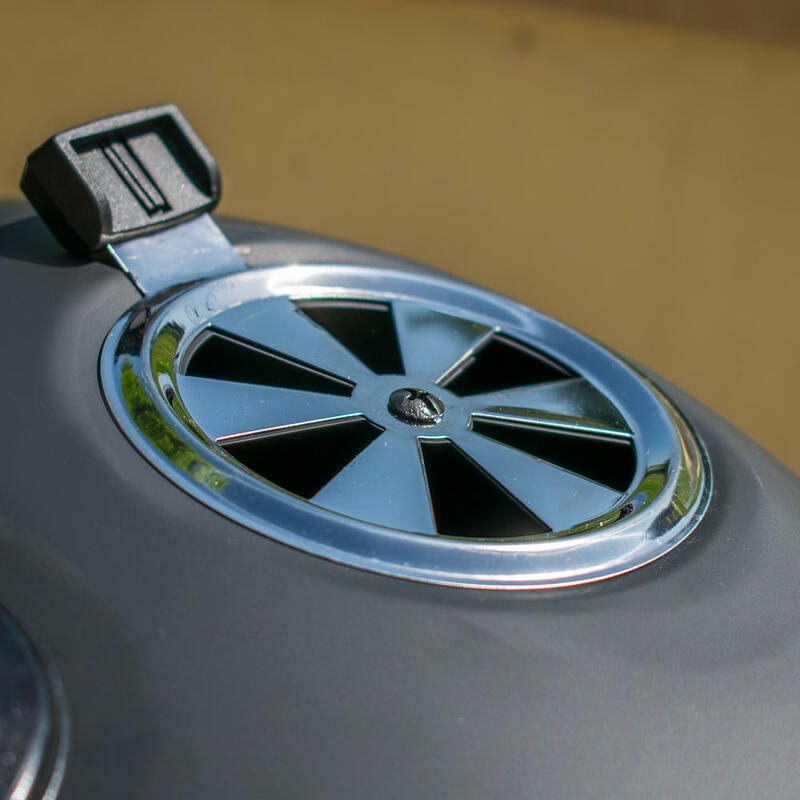 The gauge situated at the top of the lid allows you to monitor the heat inside the BBQ for that perfect and even roast. 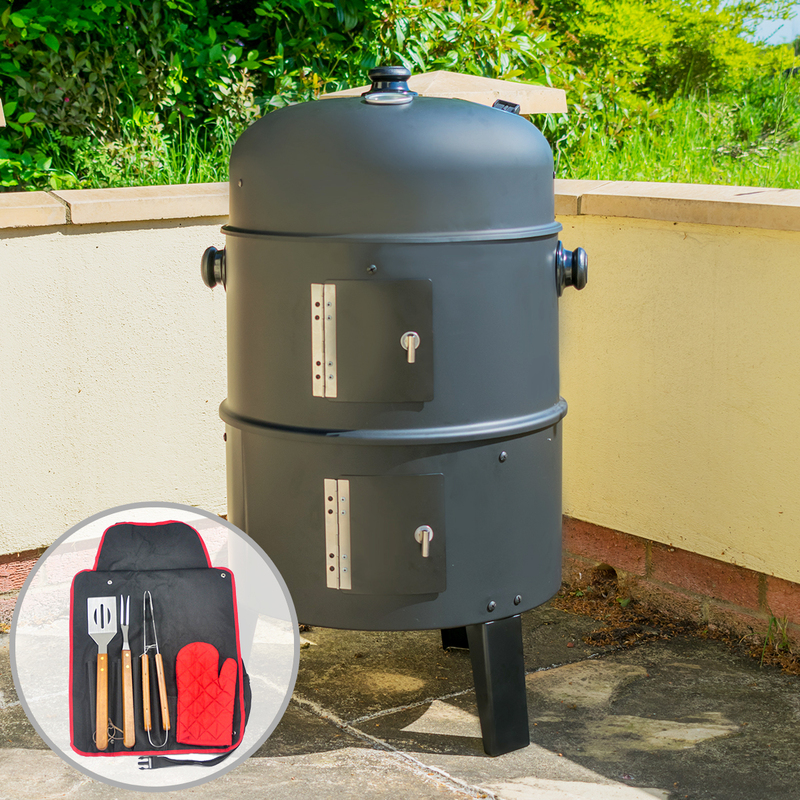 The smoker is finished in a black smooth look and has two conveniently placed handles for easy movement.